Some UK Gigs Have Been Announced! – Paul Weller News! The greatest singer-songwriter of his generation, Paul Weller, has announced a UK tour for the spring which precedes his eagerly-awaited new studio album, his first since 2005’s ‘As Is Now’. 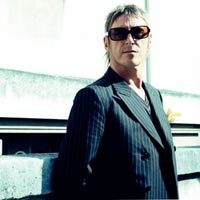 The past 15 years has seen Paul establish a highly acclaimed solo career post his The Jam and Style Council success, with albums like ‘Wild Wood’, ‘Stanley Road’, ‘Heliocentric’ and ‘Illumination’. Respected by his peers, cited as an inspiration in influencing the music-making of numerous breaking bands and attracting a legion of fans, Paul remains at the top of his career over 3 decades since his first single release. Expect Paul to debut tracks from his forthcoming album “22 Dreams” as well as classic Weller past and present. “22 Dreams” will be released in June. Tickets for Paul Weller’s UK tour go on sale Saturday 16th February. Next Entry Paul Weller To Play "Exit Festival" In Serbia On July 11,08!